The United Church Women are faithful in their support of all church events and activities. Strong bonds of lifelong friendship are forged in small groups that meet regularly for devotion, fellowship and service. Newcomers are welcomed to any of the branches, which meet monthly except July and August. The Companions Branch began in 1955. Many of their members are babysitters for Mother’s Morning Out on Tuesday mornings, so they meet on the first Tuesday of the month following their babysitting duties. They bring a bag lunch, often also enjoying a bowl of Velma’s soup! The meeting continues with a devotional. This group often caters the AOTS dinners and provides tea for memorial services. When the Harmony Branch was formed in 1964, its members were all newcomers to B.C. Their meetings feature interesting speakers and programmes and members are often spotted about the church working on special projects. This group caters an annual dinner for “Meals on Wheels” volunteers and assists a local family through their “Hands in Friendship” programme. The Seekers Branch was formed in 1978. The women already belonged to other groups but wanted to form an afternoon study group. They still meet monthly on a Monday afternoon, taking turns presenting a devotional and study programme. A Short History of the U.C.W. Beginning with the Ladies’ Aid Society, already established in 1897, women have always been active in the life of our church. Some of the objectives of the society were raising money to pay church debts and buy furniture for the parsonage, cleaning and upkeep of the church and parsonage, visiting the sick, and co-operating in community projects. Later, after union in 1925, the Ladies’ Aid Society became the Woman’s Association (W.A.) and in 1929, formed four circles – Martha, Priscilla, Uneed Us, and Get-Together. The Get-Together Branch continued to meet until 2007, holding neighbourhood teas and, for many years, supporting Miss Beulah Bourns, missionary, nurse and principal of a nursing school in Soeul, Korea. The Woman’s Missionary Society (W.M.S.) was organized in 1913 to share in the church’s world outreach to people in dire need. They raised money to build hospitals in remote areas in Canada and overseas and, at the time of the re-location of the Japanese people from 1942-1948, the United Church and the W.M.S. provided trained teachers and missionaries to assist at the internment camps in the Kootenays. In 1962, the W.A. and W.M.S. 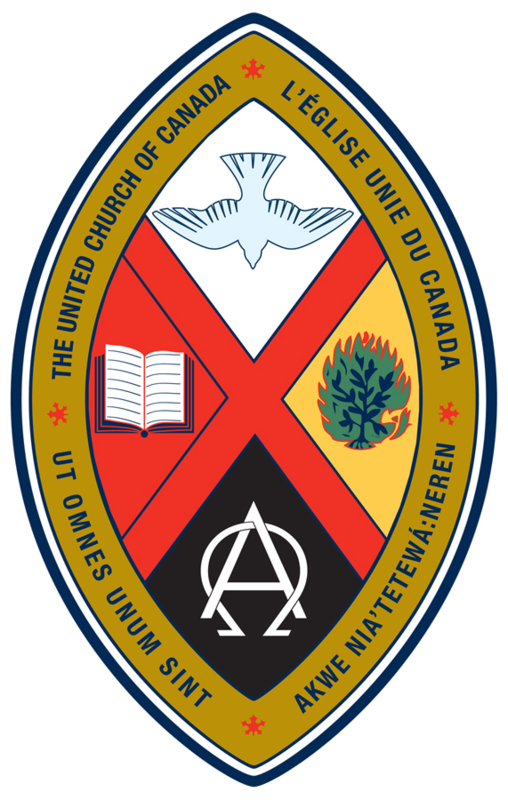 joined to become the United Church Women – “to unite all women of the congregation for the total mission of the Church and to provide a medium through which they may express their loyalty and devotion to Jesus Christ in Christian Witness, Study, Fellowship and Service”. Instead of “units”, the 176 charter members voted to call their groups “branches”, (“I am the vine, you are the branches” – John 15:5). In addition to seven original branches – Companion, Fellowship-in-Service, Get-Together, Violet Lee, Martha, Primrose and We May Serve – three more were formed later – J.O.Y. (Jesus, Others, You), Harmony, and Seekers. Today, three of those groups continue to meet regularly.